Incase you hadn’t heard, November is more than just your average month … it’s a facial hair fiesta! We are big fan’s of the Movember event, as it combines two of our favorite things; moustaches and raising awareness of a good cause. Movember is responsible for the sprouting of moustaches on thousands of men’s faces in the UK and around the world. The aim of which is to raise vital funds and awareness for men’s health, specifically prostate cancer and testicular cancer. Having started in Melbourne, Australia, the Movember event has gone global and inspired more than 1.9 Million people participating in official Mo – events. We’re really pleased to hear that last year participants raised over £79.3 million for the charity, and we hope to help smash that goal this year! Whilst our little piggy can’t grow his own tach for the event, we’ve made a set of large moustache brooches and a special edition white christmas decoration so he can play too 🙂 For every one of our moustaches sold, we will be donating £1 to the charity, and hopefully helping one more person get the treatment they need. High fives to all you gentlemen currently in the process of growing their own spectacular mustachio and those of you donating to the cause already; it’s great to see something so fun become something so beneficial. 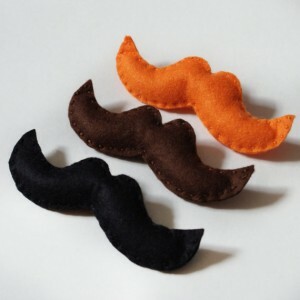 Your moustache brooches look so cool! One thing I have to admit though, is that I totally don’t get the craze but ah, well that’s the beauty of life! It’s great that your are donating proceeds to the charity. I love your moustaches! 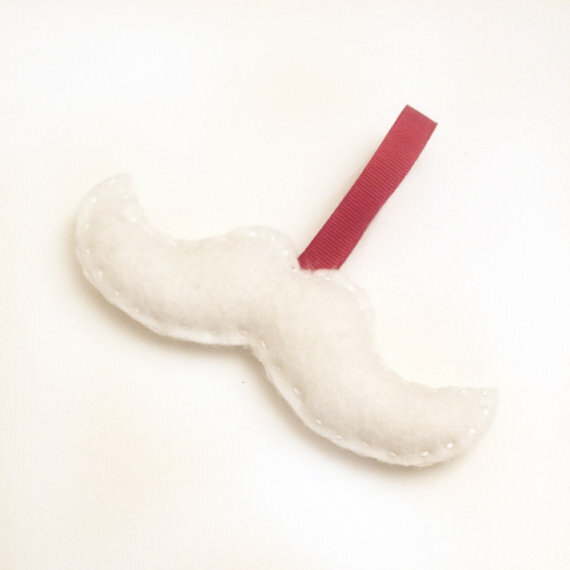 We think it’s a great cause and love moustaches – it’s meant to be!